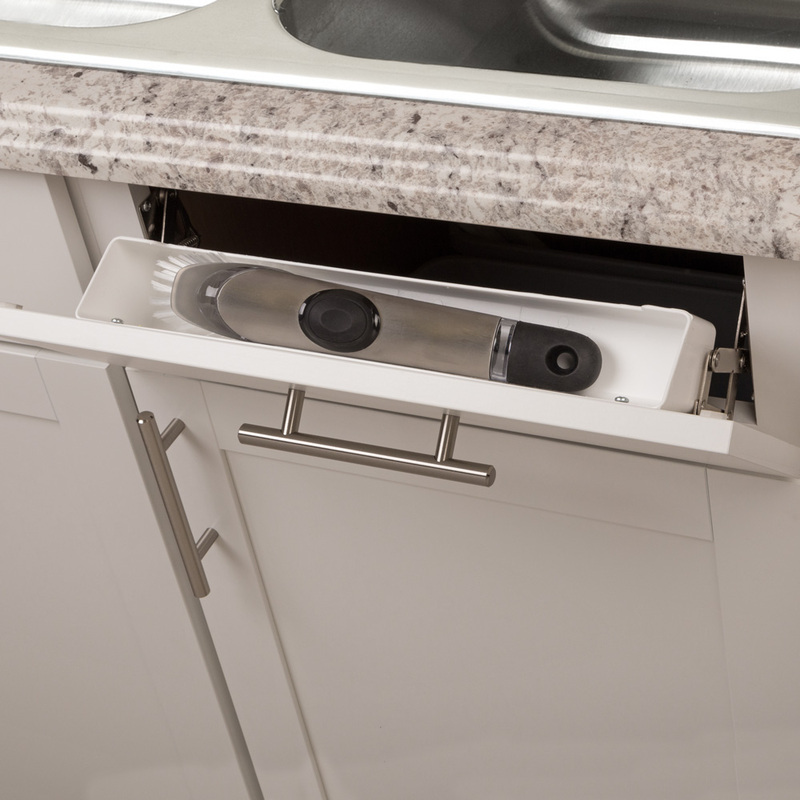 Turn unused sink-front space into useful storage with our sink front tray kit. Self-closing hinges tip out for easy access. Keeps brushes, soaps, sponges and more close at hand.